The movie Enemmy – Law And DisOrder – is definitely a good action thriller with its ups and downs, and it is worth to note that it is more engaging then some of the commercial films which made a lot of money at the box office. The film revolves around Eklavya Karmarkar aka Bhau [Sunil Shetty], Naeem Shaikh [Kay Kay Menon], Eric Collaco [Johnny Lever], Madhav Sinha aka Maddy [Mahakshay Chakraborty], Mukhtar Memon [Zakir Hussain] and Yugandhar Vishnoye [Mithun Chakraborty] – and it is interesting to see that the film name is made of first letter of this character names. It is also worth to note that if you look the movie poster properly you see that the antagonist’s name’s first letter is shown in the red and others in white. A well thought stuff. And yes this film is also setup on the canvas of Mumbai and the combination of gang wars, the role of police and politics is explored too. We see that Ram Govardhan aka RG is a young politician who is almost ruling based on his charisma (the role is played by Akshay Kapoor – remember the protagonist of Hindi film Alag? – the man without hairs on the body and having some supernatural powers?). His dialog delivery is not so convincing here though. The titles show that a large amount of money was asked to collect from a specific lobby of the business and Mukhtar had to deliver that money to the person who ordered the same! Everything was going as per the plan but on the Raigarh highway, the caravan (including the truck with money) was attacked and money were robbed. Mukhtar interrogated his men but got nothing from them which can lead him to money or the robbers. He doubted other underworld don and started to killing his men. And he got equal response too, which resulted into gang-wars. RG demands explanation and asks to take prompt action against Mukhtar to stop this mayhem to the home ministry of the stage. So, the police department send Unit – 9 there. The expert (by all the means) officers of the unit captures Mukhtar from his area and sends him into lockup in the case of having possession of and doing business of drugs! The gang wars stopped and the city took the breathe of relaxation. But, it was just a pause to the gang-wars and it started again after a few days! Mukhtar was running his business of crime from within the jail now!!! He was so furious to get his money back and send it to his big boss that he can think of nothing else. To overcome the situation Unit 9 decided to play a game with the criminals! Here, RG was also furious by seeing the situation getting out of control, he was worrying that opposition will take full advantage of this problem and create difficulties in the approaching elections! (Who cares about public?!) He sent Yugandhar, a senior officer from Delhi to overlook the entire situation, trace the root of the problem, inform him at the first place, and solve the problem. So now there will be the cat-mouse race between the gangs of underworld, unit -9, greedy politicians and Yugandhar. Of course, the mango people (aam aadmi), the families of the officers and other innocents will be affected too. The rest of the stuff is better to watch on screen. Aashu Trikha excels as the director over screenplay writer. And yes, as the movie progress, the suspense thrills are getting higher. Actually if the story was little more tight and better publicity was made, the movie definitely did well at the box office. The item song doesn’t serve the purpose. The song “Bheege Naina” is fantastic. The background score is first rate. The roar of lion during Sunil’s fight scenes adds positive to those scenes, for example. How can Yugandhar see the actual events, despite from not having no information about the same found anywhere? And that too in very detail? Mithun played such roles in past and easily dons the character. 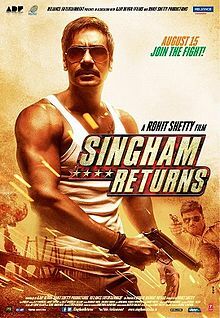 Sunil Shetty is the excellent performer in the movie. In his initial scenes you may think he should have done better, but as the movie progress his performance also progress well. He did show the expressions pretty well. And yes, after a long time he got (exception – Red Alert – The war within) a role where he have got a chance to show his expertise in action scene (remember his kick-boxing style in earlier movies), and at this age also, he is so fit that he looks convincing. Kay Kay Menon is of course a nice actor and he plays his part very well. Johnny Lever got a role, which is not a comic one, after a long (earlier we had seen him playing such role in – Sapoot), but his role is bouncing (a little) between character actor and comic actor, otherwise he performed well too. Mahakshay is grown up since his first film Jimmy (do you remember it? ), but he still needs to work a lot, also his voice lets him down. The cinematography and action sequences are executed well. Priyanka Upendra needs to work on dialog delivery. Yuvika is better than her and looks pretty too. Though, the ladies doesn’t have to do much in this movie. And yes, Zakir Hussain is first rate and convincing in the negative role. Overall it is not as bad film as it performed at the box office. May be it needed more publicity. Action thriller lover will like to watch this movie at least once.